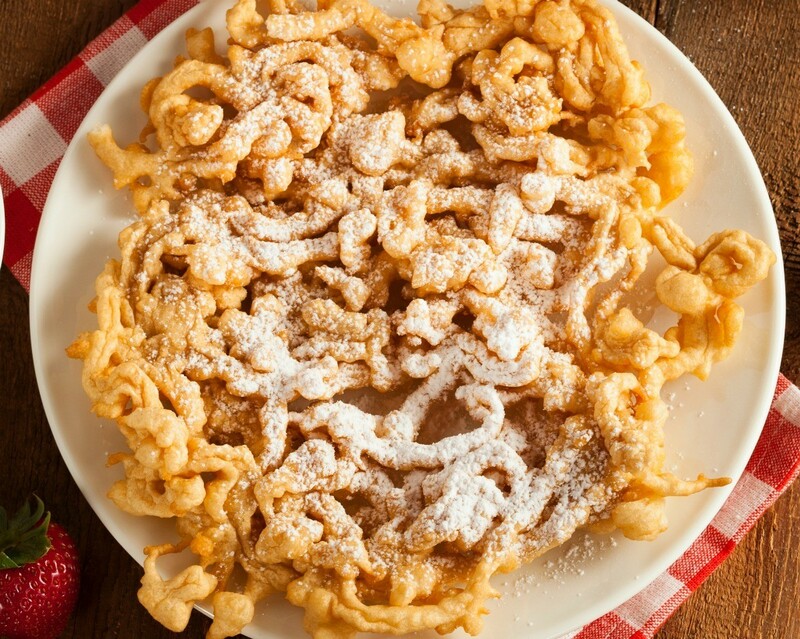 You can deep fry cake batter to make funnel cakes or something similar. This page is about deep frying cake batter. Can you mix up a boxed cake mix recipe and then drop it into the hot oil of a deep fryer to make some form of dessert? You can, that is how funnel cakes are made. Heat oil in deep fryer to 370° F.
Holding the funnel with one finger keeping the opening closed, fill with batter. Open the end of the funnel and allow batter to run out in a stream into deep hot fat, moving funnel from center, swirling outward in a circular pattern. Fry for 2 to 3 minutes, until golden brown. 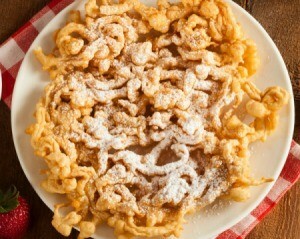 Transfer fried funnel cakes to paper towels to drain. 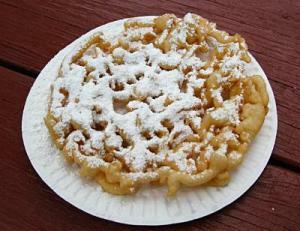 Shake sifted confectioners' sugar over drained funnel cakes. My aunt also used to use cake batter as a batter when frying things, like snickers bars or twinkies.